Anyone can sign a petition but investment in Community Shares demonstrates just how committed people are to your project, which can help lever investment from other people who might be wary. Your share issue can start the ball rolling for your funding package or be the final part of the jigsaw. Community Shares are by far the cheapest way to raise equity through community crowdfunding. That’s because they are exempt from the laws that normal companies have to comply with if they issue shares and compliance can cost upwards of £100,000 in professional fees. By contrast, to issue Community Shares doesn’t require input from expensive stockbrokers and lawyers meaning much more of the money you raise from your community goes directly to your project. Could you do a community share issue? 1. Does your group have a network of supporters you can tap into? 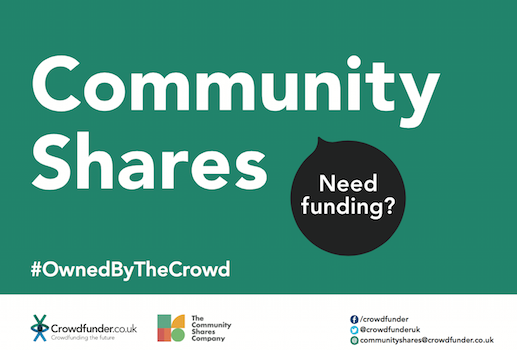 A Community Share issue is a community crowdfunding campaign. You need a group of people who not only want to live in a world in which your project comes to life but who are also prepared to put their own money in to make it happen. 2. Does your group have a project that needs capital? Community Share investment should have a long-term benefit. You should be able to say afterwards that you used the money to fund something that has a value (such as buying a property or new equipment) and which makes your business stronger. It isn’t a sticking plaster for a business losing money to subsidise trading losses or pay this year’s building maintenance or electricity bill. 3. Are you happy to have your enterprise owned by your community (or need to preserve what you have in community ownership)? Community ownership is perfect for many community enterprises. Who better to own a local pier or pub than the community who want that enterprise to exist and to thrive? But community ownership isn’t for everyone. If the idea of sharing control of your enterprise with the people who invest to make your project happen isn’t for you, then neither are Community Shares.